Organize your Grand Theft Auto crew with our powerful website hosting. No coding required, get set up in minutes. Perfect for all types of clans, crews & gamers. It rocks! Build your own mini-social network, which you lead. 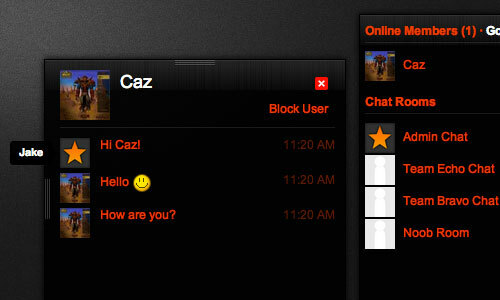 Features such as instant chat, forums, activity feeds and member profiles make keeping in touch a walk in the park. Organize races, raids, golf matches or stock market competitions. Our events planner and tournament system makes it easy to play with your crew. Check the latest on-goings while on the go with our mobile sites. Your website will automatically adjust to display correctly on mobile devices! Our gamer web hosting platform has hundreds more features, designed solely for gamers. Every clan or GTA crew needs a website to recruit, share, communicate and build respect. Creating a crew website with iClan Websites will increase your reputation and help build your community. Who doesn't have a website?